Sound Radio Wales - North Wales Radio - Rhyl, Prestatyn, Kinmel Bay, Towyn, Abergele, Colwyn Bay, Llandudno Want to join the Sound Radio Wales team? We are looking for volunteers to join our highly experienced radio team broadcasting to North Wales and the world! 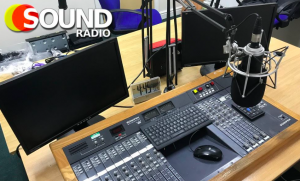 Sound Radio Wales are a community internet radio station based in North Wales who are looking for people to join our team. Our main base is in Kinmel Bay and second studio near Holywell, we are fully focused on our locality and run by people from the community. We are always seeking connections with other individuals and groups to an already highly experienced and creative team, we crave diversity and are keen to expand – we love to make a difference. Our core strengths are in Media, Broadcasting and Technology. We have the imagination, the drive and the technical skills to drive us into a new world of broadcasting. We are looking for people of various skill level who are interested in radio, media, journalism, video, broadcast technology. No experience is necessary to join our team but the desire to learn, create and develop in an ever grown media world is essential. Sound Radio Wales is more than just radio presenters, its community driven media! 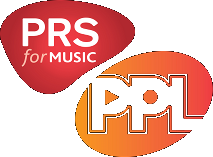 As much as we are looking for radio presenters to join our team we are also looking for people interested in working behind the scenes in news reading and writing, show production, video broadcasting & editing, podcast creating, band & show reviewing or volunteer just for round the table public discussion on air. If you are interested in being part of our team please fill in the contact form with as much information about yourself as possible and how you would like to help with Sound Radio Wales. Alternatively you can drop us an email to info@soundradio.wales.